Actinobacteria, as one of the largest bacterial phyla, is a dominant group of microorganisms being widely distributed in various terrestrial and aquatic ecosystems. These Gram-positive, high G+C content bacteria have received much attention in terms of studying its biology, majorly as they have been found to be tremendously potent in producing medically and industrially relevant secondary metabolites. 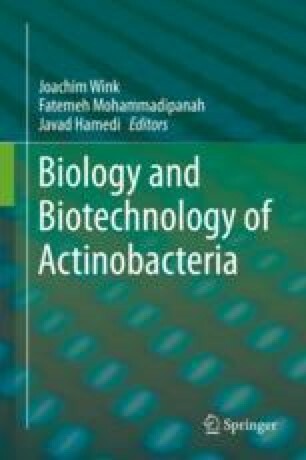 This extensive secondary metabolism has led to the discovery of more than 120 antibiotics, different enzymes, enzyme inhibitors, and many other useful products from actinobacterial sources, discussion on which is one of the main focuses of the current book.